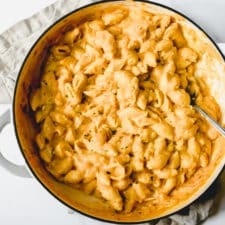 This is my favorite recipe for mac & cheese— creamy, comforting, flavorful, and so good! Can I be honest here? I’m obsessed with this— so much so that I made it 4 times in about 2 weeks. This inspiration for this recipe comes straight from mama’s kitchen. When my parents lived back in Pennsylvania, we’d drive up there a few times a year. After the long 14-hour drive, we had no energy to go out to eat so she’d bless us with her homemade macaroni and cheese. As if visiting home wasn’t good enough, having a home cooked meal that you loooooved on the table was even better. Over the years, mama’s perfected her recipe and passed it down to me. A few months ago I decided to add my own twist to it— dare I say it’s even better? This mac and cheese was gobbled up quicker than any other meal that I’ve made in a really, really long time. 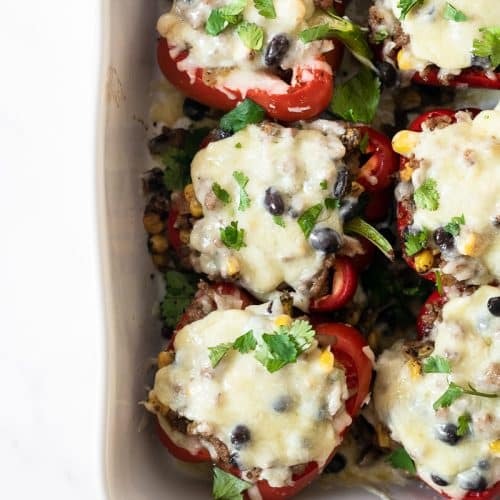 And because this recipe can feed a football team, there’s plenty of leftovers (especially for just us 2!) Totally not complaining though. And for Chris, the one person I know that doesn’t really eat leftovers, surely enjoyed this… as leftovers. Proud moment. 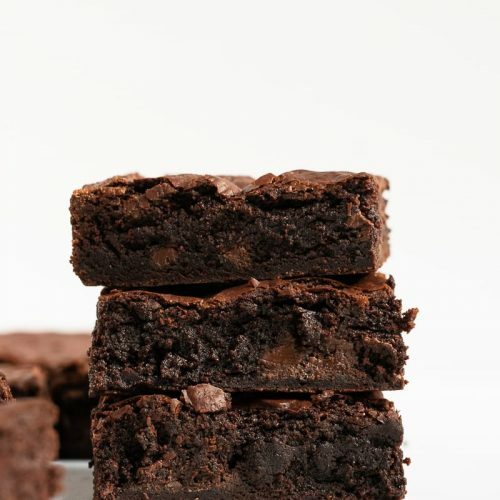 What I love most about this recipe is that it’s simple. 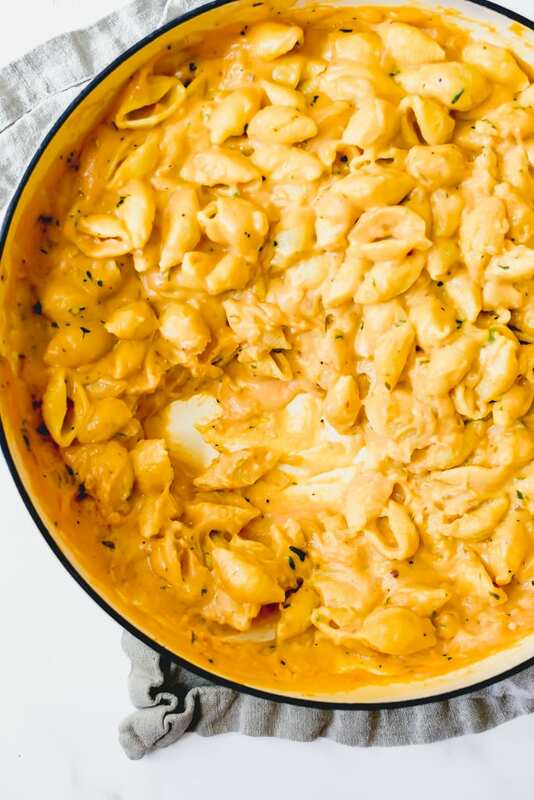 The cheese sauce is prepared in the same skillet that you’ll toss the shells in. * You’ll start by sautéing the onion and garlic in butter for a bit— this is flavor city right here. Then you’ll make a béchamel sauce. Don’t worry, it’s easy enough. Then goes in the cheddar cheese, cream cheese, salt, pepper, and spices. For the spices, I use: paprika, ground mustard powder, dried parsley and red pepper flakes. *See recipe notes to make this a one pot meal. Make the noodles. You can use any shape you prefer; I personally love the shells because the cheese fills ’em up! 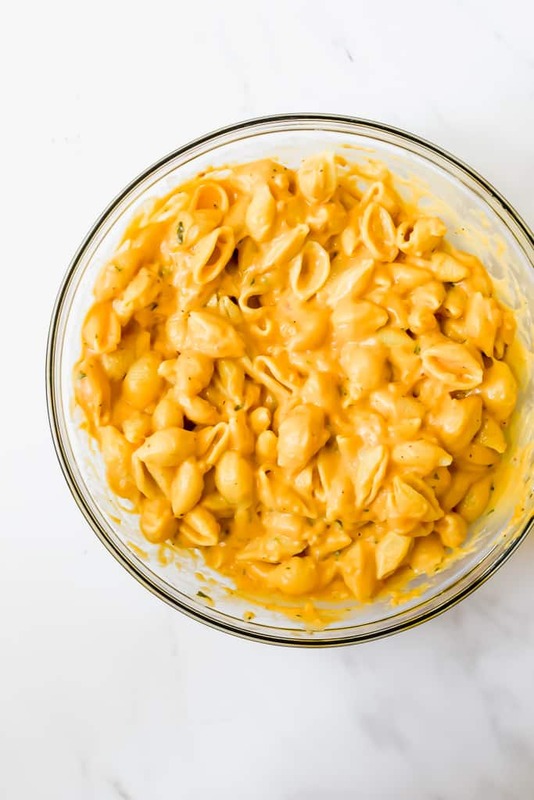 Make the creamy cheese sauce. Combine the noodles and cheese sauce. This is insanely creamy + indulgent + rich + satisfying. It may not be the healthiest but it is 100% delicious. And it’s just the right thing to make for dinner. In a large pot of boiling water, add 1 teaspoon of salt and add the pasta. Cook the pasta for the time directed on the back of the package. Once the pasta is done, strain and stir in 1 Tablespoon of butter. Set aside. 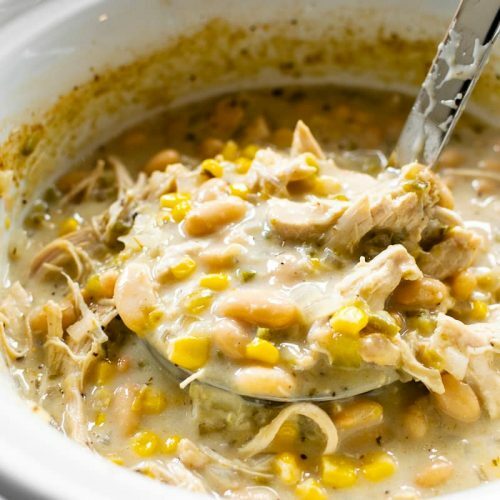 In a large 12-inch skillet or dutch oven, melt 6 Tablespoons of butter over medium heat. Once melted, add in the onions and garlic, and sauté for 5 minutes until the onions become very soft. Turn the burner up to medium-high heat, whisk in the flour to form a thick paste and cook for 1 minute (this helps cook out the flour taste), then slowly whisk in the milk. Once the milk is added, continue to whisk. The sauce will begin to simmer. Slowly whisk in the cheddar cheese, 1/2 cup at a time. Once the cheese is added, add the cream cheese. Continue to whisk as the cheese melts and the sauce becomes smooth and thick. Whisk in the remaining salt, black pepper, ground mustard, paprika, and red pepper flakes. Add the pasta to the skillet and stir everything together until the pasta is completely coated. All to sit for a few minutes before serving since it'll be hot. Garnish with additional parsley, if desired. 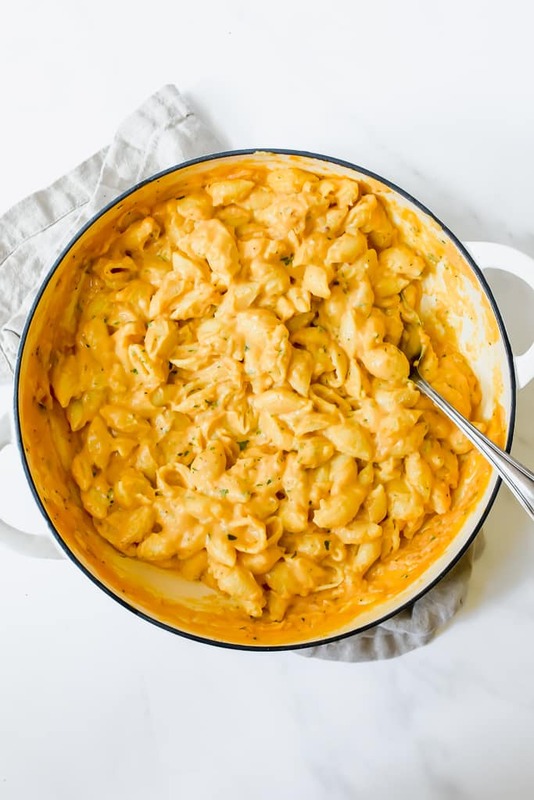 Make it a one pot meal: To make this in one pot, use a large enough pot to cook the shells in, as well as then preparing the cheese sauce in afterwards. Make ahead tip: To make this ahead of time, prepare the cheese sauce in step 2. 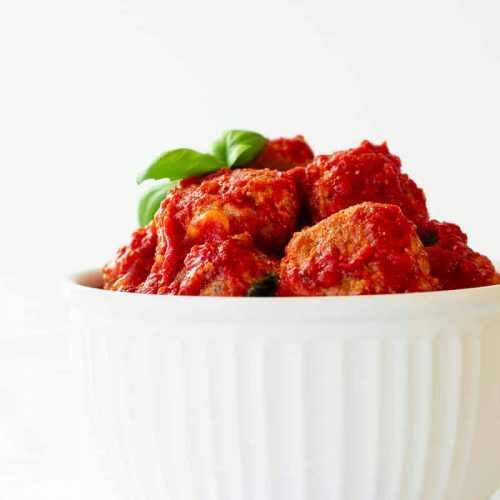 Cover tightly and refrigerate for up to 2 days. Warm up the cheese sauce in a skillet on medium heat until smooth. Toss in the shells. 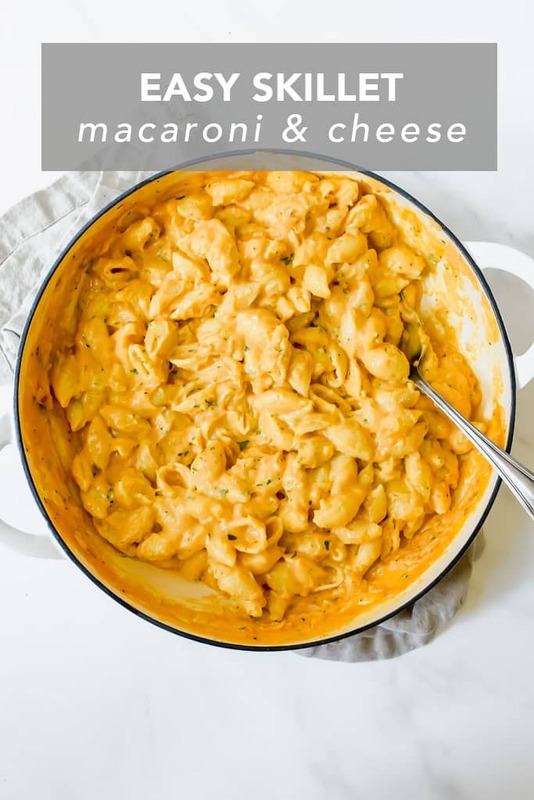 The macaroni and cheese can be stored in the freezer for up to 3 months. Allow to thaw overnight in the refrigerator, then heat as desired. Make this gluten-free: You can sub the pasta for gluten-free pasta and the flour for gluten-free flour. I highly recommend using a large deep skillet, dutch oven or a pot for easy mixing. 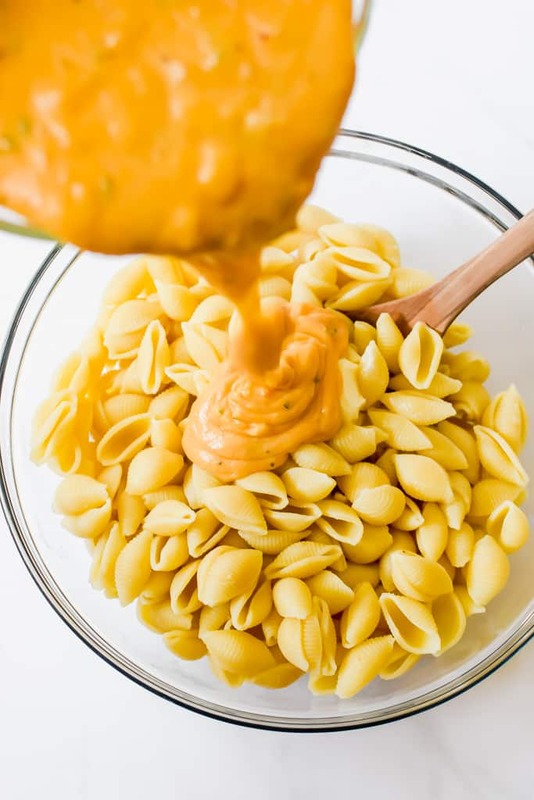 2% or whole milk are recommended for the creamiest cheese sauce. For the best flavor a combination of sharp and cheddar cheese is best. You can either grate it yourself or buy the pre-shredded bags. You can also use your favorite type of cheese.